BONUS: Find more ideas for keeping your car organised on this car kit checklist... click the button below to get your copy! 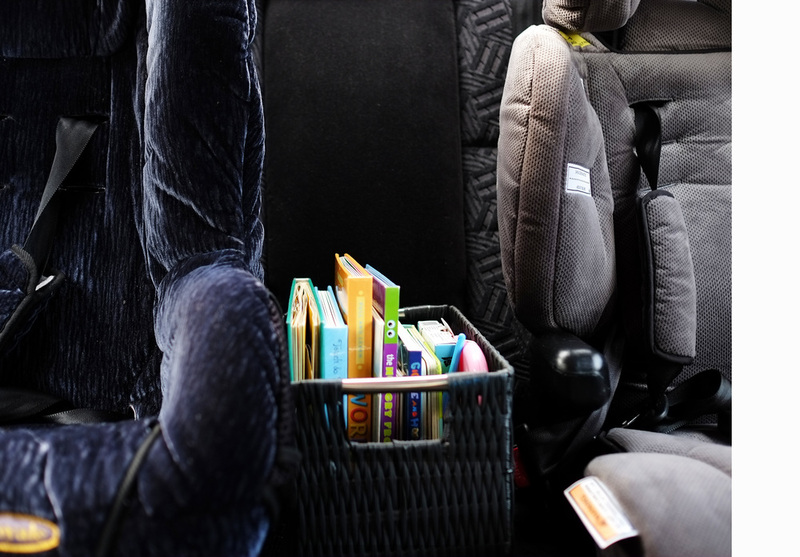 I decided to pack books in the car instead of toys, as I figured it would keep my kids entertained for longer. When I first came up with this idea, my children were around 8 months and 2.5 years old, and it is still working well nearly 18 months on. I bought a tall basket for around $4 at the dollar store, which fit perfectly between the 2 car seats. It is actually really wedged in there so there is no chance it could move if we were to stop suddenly. 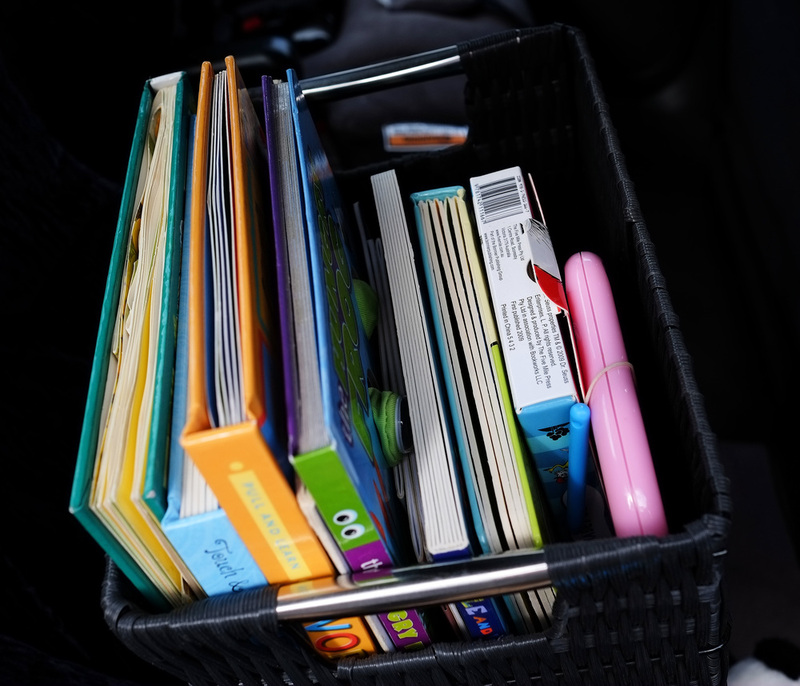 I filled the basket with a few of the touch-and-feel board books and pop-up books that could withstand a bit of wear and tear. I also put in a packet of Dr Seuss letter cards and a mini magna-doodle for a bit of creative drawing. At this age I find the magna-doodle works better than crayons & paper as my son would often drop the crayons or find the notebook tricky to balance on his knees. I have found this to be such a great solution for keeping the children entertained in the car. Even on long trips to the family beach-house (a 1.5 hour drive), we just take a new selection of books and they are happy [pretty much] the whole way. Audio books are another fantastic solution for keeping the kids entertained, and relatively happy! 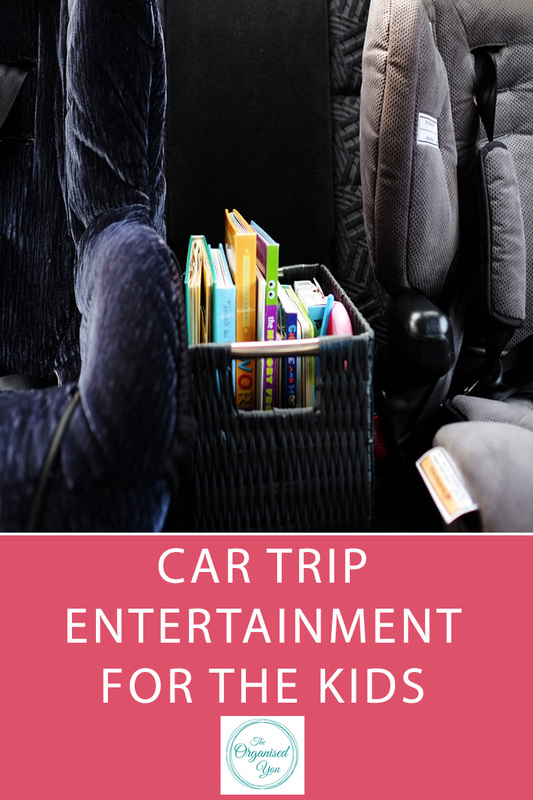 How do you keep your kids entertained in the car on long trips? Do they like to read in the car too?